The Nutcracker is a two-act ballet, originally choreographed by Marius Petipa and Lev Ivanov with a score by Pyotr Ilyich Tchaikovsky. 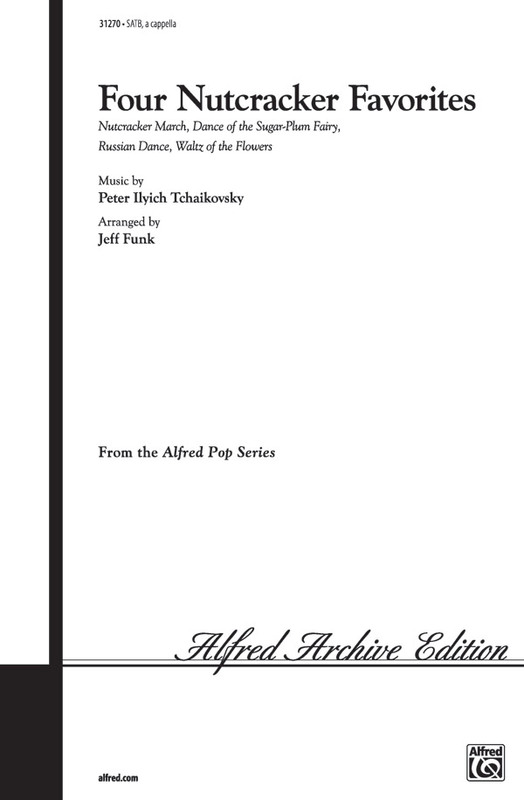 The libretto is adapted from E. T. A. Hoffmann's story "The Nutcracker and the Mouse King", by way of Alexandre Dumas' adapted story "The Nutcracker". It was given its premiere at the Mariinsky Theatre in Saint Petersburg on Sunday, December 18, 1892, on a double-bill with Tchaikovsky's opera Iolanta. 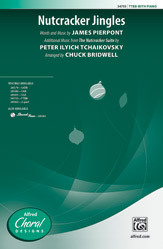 Although the original production was not a success, the 20-minute suite that Tchaikovsky extracted from the ballet was. However, the complete Nutcracker has enjoyed enormous popularity since the late 1960s and is now performed by countless ballet companies, primarily during the Christmas season, especially in North America. Major American ballet companies generate around 40% of their annual ticket revenues from performances of The Nutcracker. Tchaikovsky's beloved Nutcracker Suite is given a twist as performed by Fred Waring and the Pennslyvanians. Conceived by arranger Harry Simeone he combines the charming lyrics written by Jay Johnson, Frank Cunkle, Daisy Bernier and Fred Waring. The arrangement was debuted on October 27, 1947 on Waring's radio program for General Electric and recorded for Decca Records later that year. It has been delighting audiences ever since. The performance heard here was originally broadcast August 19, 1948. The title says it all. It's the story of the ballet, set to the music of the ballet, and it only takes . . . (you guessed it) . . . three minutes to perform. Terrific! 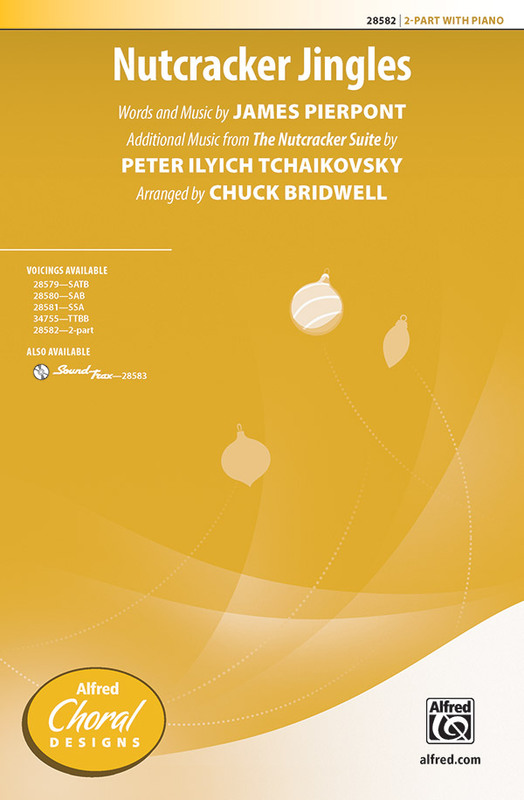 The most ingenious pairing of words and music we've heard in years: the text of "Deck the Hall" set to Tchaikovsky's "Dance of the Sugar Plum Fairy." 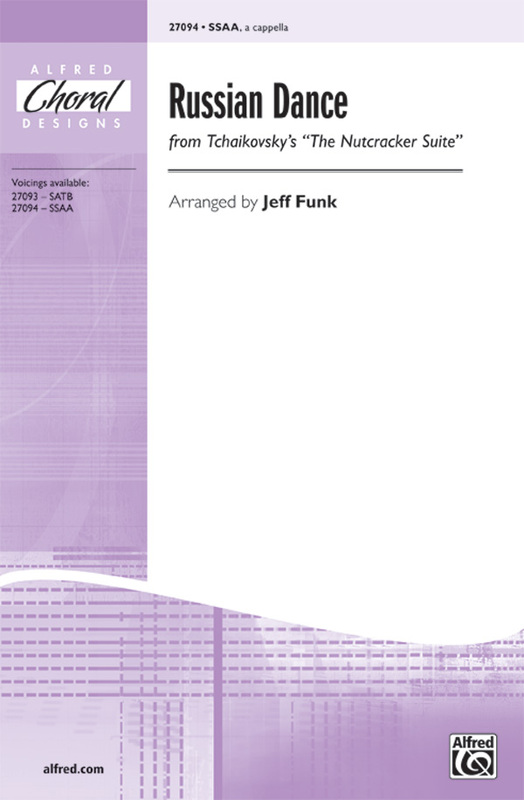 You won't believe how easily the "fa la la's" fit to this universal holiday favorite from The Nutcracker Suite. The holiday text is secular so it's ideal for December concerts, and it's surprisingly easy to sing. It's one of those "Why didn't I think of that?" pieces. 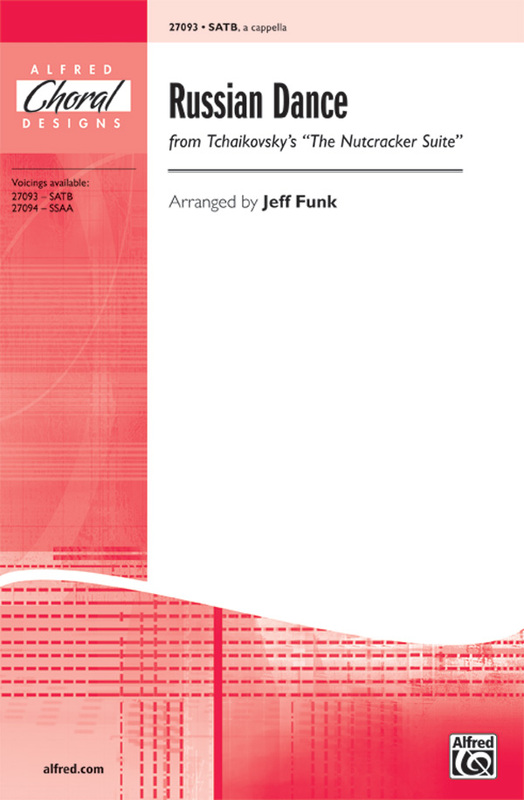 The fully orchestrated SoundTrax CD is based on Tchaikovsky's original orchestration. A "suite" a cappella collection! Titles: Nutcracker March * Dance of the Sugar-Plum Fairy * Russian Dance * Waltz of the Flowers. 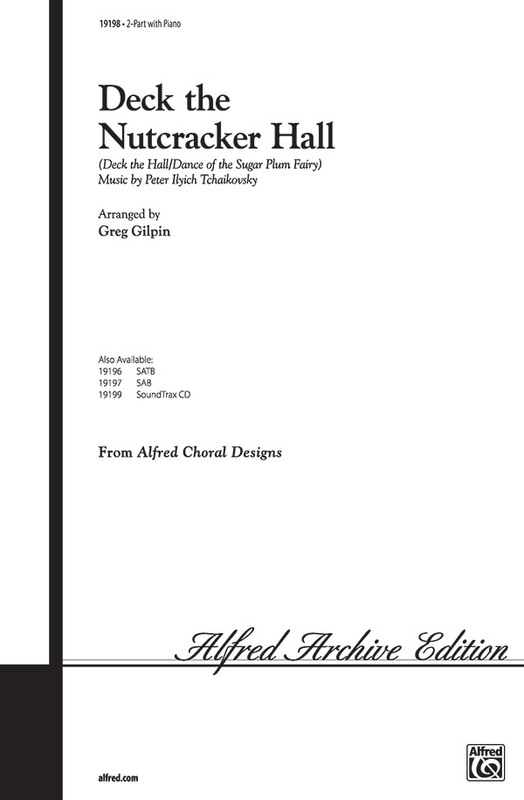 This humorous a cappella work is a reduction of the original orchestral work from The Nutcracker Suite. Michele Weir is known for her vocal jazz arrangements, but this choral is a departure from the familiar. Here Michele has crafted this familiar holiday favorite with adorable lyrics by Amy Engelhardt (The Bobs) into a choral work that is delightful and fun to learn and perform. It's "Jingle Bells" . . . it's The Nutcracker . . . it's great fun . . . it's "Nutcracker Jingles!" Festive frivolity abounds in this clever medley combining a favorite winter carol with the tunes from Tchaikovsky's most famous ballet. A crowd-pleaser! Also available: SAB (00-28580), SSA (00-28581), 2-Part (00-28582), TTBB (00-34755), and SoundTrax CD (00-28583). 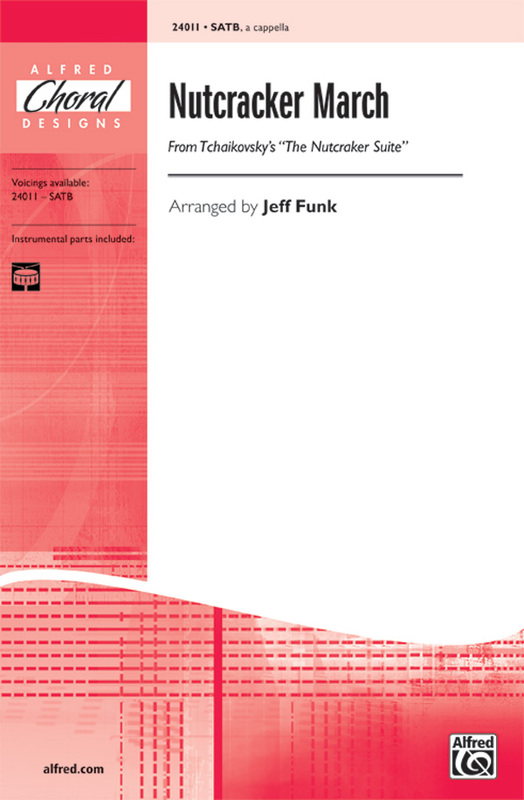 The instrumental parts are available for rent. Go to alfred.com/rental or contact: rental@alfred.com. It's "Jingle Bells" . . . it's The Nutcracker . . . it's great fun . . . it's "Nutcracker Jingles!" 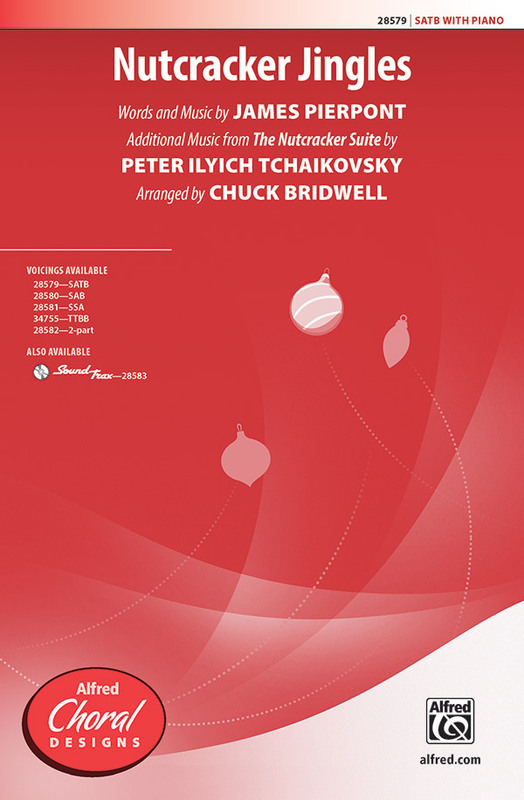 Festive frivolity abounds in this clever medley combining a favorite winter carol with the tunes from Tchaikovsky's most famous ballet. A crowd-pleaser! 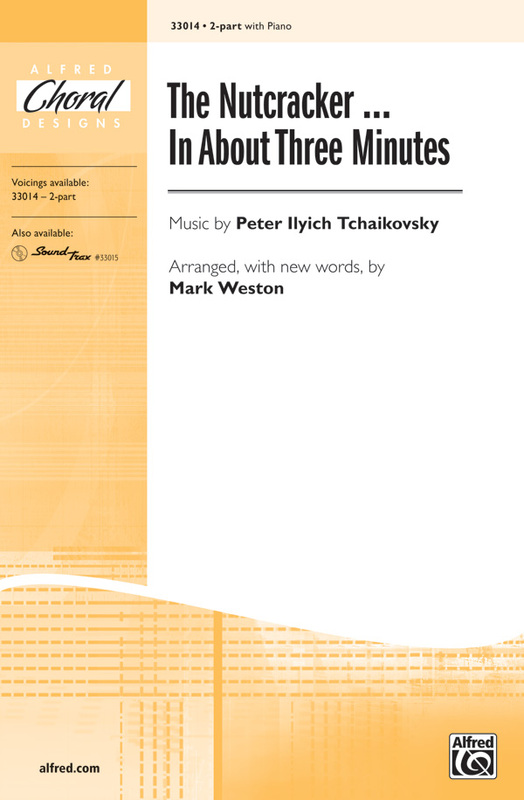 Also available: SATB (00-28579), SSA (00-28581), 2-Part (00-28582), TTBB (00-34755), and SoundTrax CD (00-28583). It's "Jingle Bells" . . . it's The Nutcracker . . . it's great fun . . . it's "Nutcracker Jingles!" 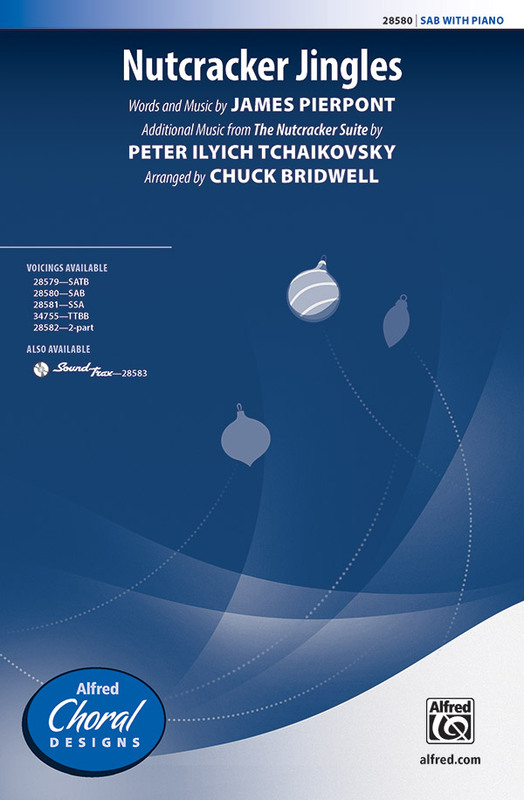 Festive frivolity abounds in this clever medley combining a favorite winter carol with the tunes from Tchaikovsky's most famous ballet. A crowd-pleaser! It's "Jingle Bells" . . . it's The Nutcracker . . . it's great fun . . . it's "Nutcracker Jingles!" Festive frivolity abounds in this clever medley combining a favorite winter carol with the tunes from Tchaikovsky's most famous ballet. A crowd-pleaser! Also available: SATB (00-28579), SAB (00-28580), SSA (00-28581), TTBB (00-34755), and SoundTrax CD (00-28583). Itis "Jingle Bells" . . . itis The Nutcracker . . . itis newly arranged for menis voices . . . itis "Nutcracker Jingles!" Holiday frivolity abounds in this clever mash-up combining a favorite winter carol with familiar tunes from Tchaikovskyis famous ballet. A proven crowd-pleaser! Also available: SATB (00-28579), SAB (00-28580), SSA (00-28581), 2-Part (00-28582), and SoundTrax CD (00-28583). 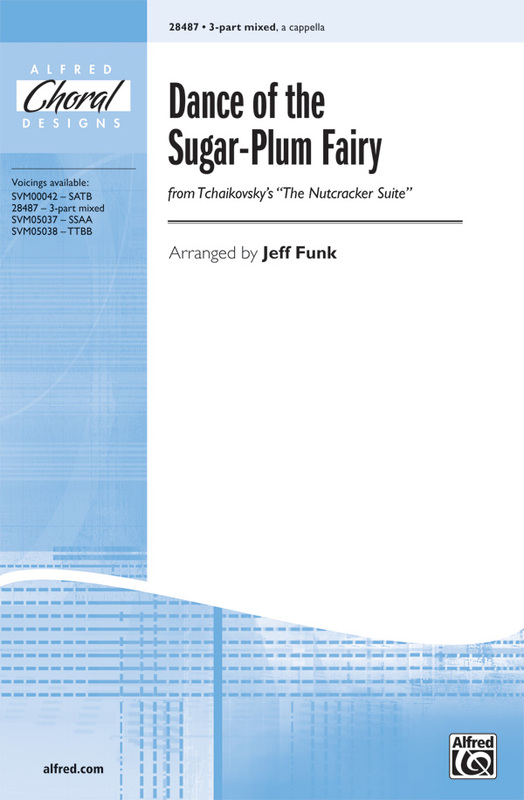 Here's a sparkling seasonal favorite arranged for younger choirs. Optional percussion and great staging possibilities! Available: 2-Part. Performance Time: Approx. 1:55. Celebrate the season with this classic holiday selection, now available in SATB and SAB. Add the optional percussion and some staging for a memorable performance. A holiday classic all wrapped in a delightful 2-part arrangement that marches and dances with ease and includes the opportunity to play kazoos! A novel setting that sparkles with fun for the season. 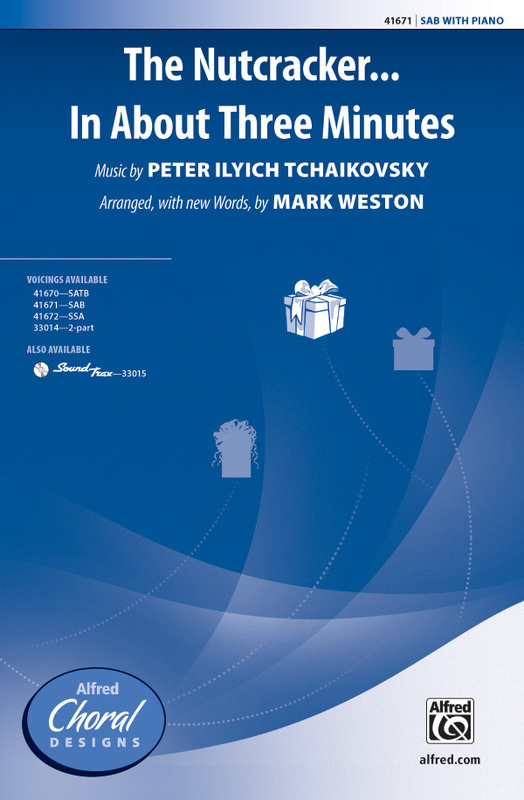 A holiday classic all wrapped up in delightful new TB and 3-part mixed voicings, this arrangement marches and dances with ease and includes the opportunity to play kazoos! A novel setting that sparkles with fun. Sung entirely on "fa-la-la" and "plum," this novelty piece successfully transforms Tchaikovsky's orchestration into a light and lively a cappella choral. 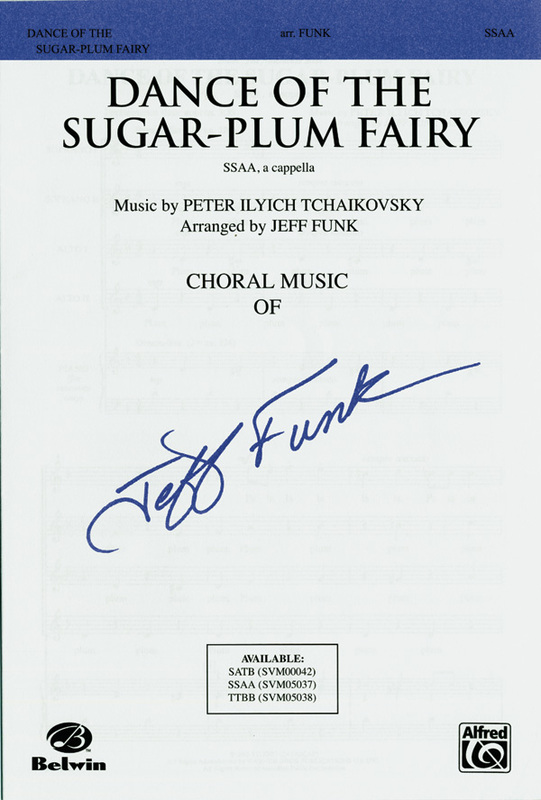 A jovial choice for holiday performances, Jeff Funk's arrangement dances along from its recognizable opening flourish to the accelerating, jolly end. Guaranteed to make you smile!